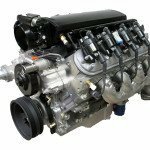 Seasoned tuners speaking of annular-boosted carburetors will tell you of their fine atomization qualities and their impressive capacity for generating torque, especially at low engine speeds. At high engine speeds on smaller CFM carburetors they might express a hint of caution concerning slight richness. But on competent street machines with the right combination they generally insist the annular is often in a class by itself. Dawsonville, GA: Demon Carburetion has unleashed 4 new annular-discharge Speed Demon carburetors: two 650cfm and two 750cfm. Both models are available with either mechanical- or vacuum-secondary throttle mechanisms. 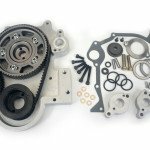 Their chief functions are to increase engine torque, especially at low engine speeds, and to provide first-class throttle response and drivability. This is achieved by use of 8-hole annular boost venturii with corresponding air-fuel metering circuits. 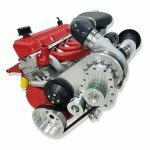 The success of any annular-boosted carburetor derives from careful and accurate fuel distribution and superior air-fuel atomization. 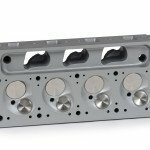 Heartening news for thousands of enthusiasts, this is particularly relevant for owners of 350-360cu in small-block Chevrolet engines and also 289-302cu in small-block Ford engines that operate with camshaft durations of up to 240 degrees @ 0.050in of valve lift. In fact these carburetors, depending upon the engine combination, could invigorate any small displacement V8 engine that’s impeded by lethargic air speed. At low engine speeds, particularly from 1,800 to 2,500rpm the annular-discharge Speed Demons can generate up to 100lb-ft of additional torque compared with other discharge boosters. And even throughout the rev range, the engine’s torque production is usually unsurpassed. The result is conclusively better throttle response and drivability. 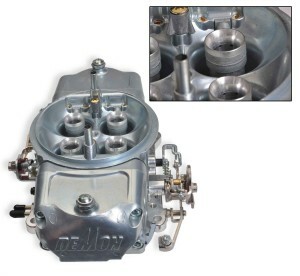 Of the three common styles of carburetor boost venturii, the annular-style, via its 8 discharge holes, is unrivalled in its ability to atomize the air-fuel charge. In this endeavor it outperforms the others largely because of its numerous discharge orifices. 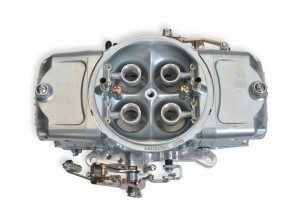 In addition its bigger size occupies more space in the carburetor’s venturii, resulting in substantially increased air speed—it generates more velocity—through the carburetor and excels in atomizing the air-fuel mixture. Annular Speed Demons are now accessible through most Demon distributors. 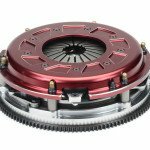 Here in this table below are the part numbers currently available.